TOCHKA conceived the lightning doodle project called "PiKAPiKA". TOCHKA doesn’t consider their film to be artistic expressions; rather, they think of them as projects that are open to everyone. This unique angle of the PiKAPiKA project has undoubtely opened new possibilities in the field of animation. Enjoy the spectacle of lights ! TOCHKA is a creative unit that acts by Nagata Takeshi and Monno Kazue. They invented new method of making animation called PiKA PiKA, which is the combination of long exposure and stop motion animation technique. 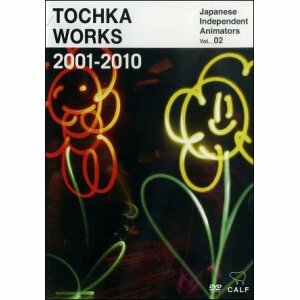 It enables everyone to make animation with drawings by penlights in the air. Their playing field is very wide from experimental animations to illustrations. PiKA PiKA was nominated in Annecy and won some awards including the Honourable Mention in Ottawa, the Excellence Award in Japan Media Arts Festival and the Grand Prix in Clermont-Ferrand.